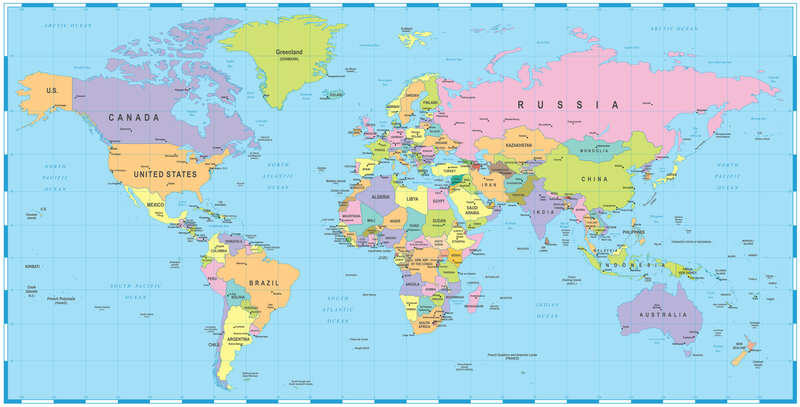 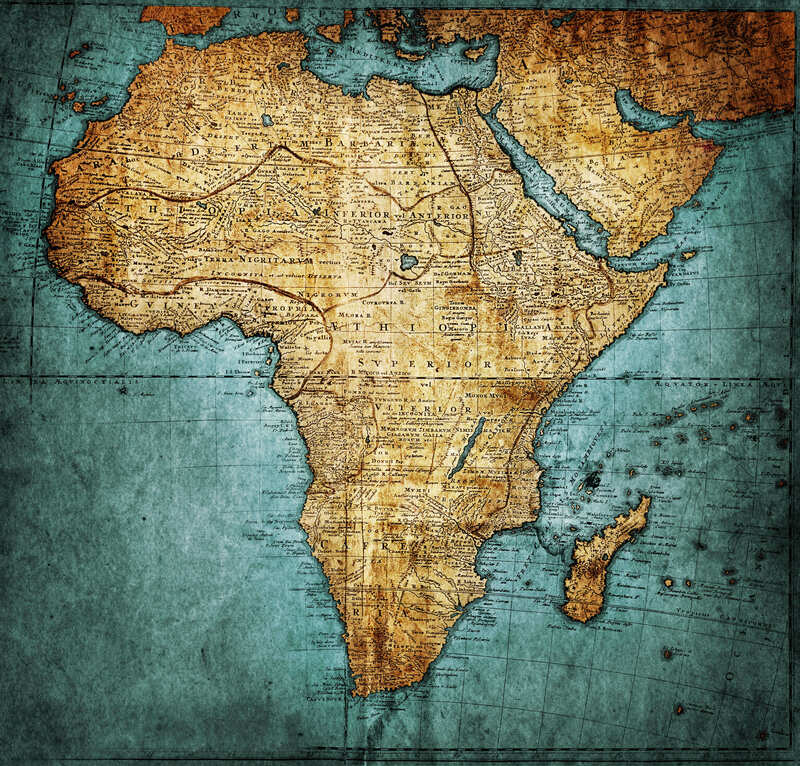 Navigate Africa Map, countries map, satellite images of the Africa, largest cities maps, political map, capitals and physical maps. 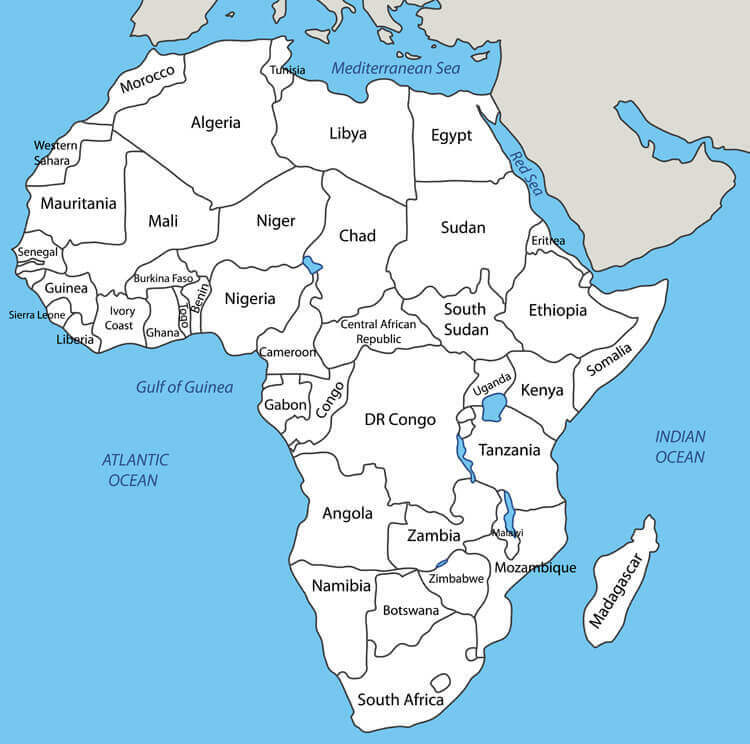 Africa Countries Political Map with national borders. 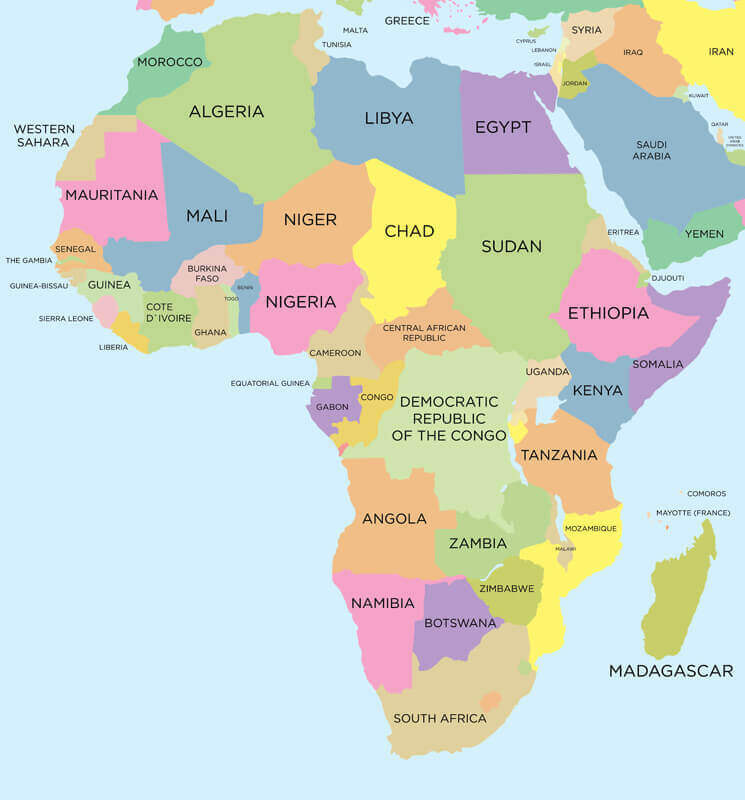 Countries Map of Africa, colorful international country borders. 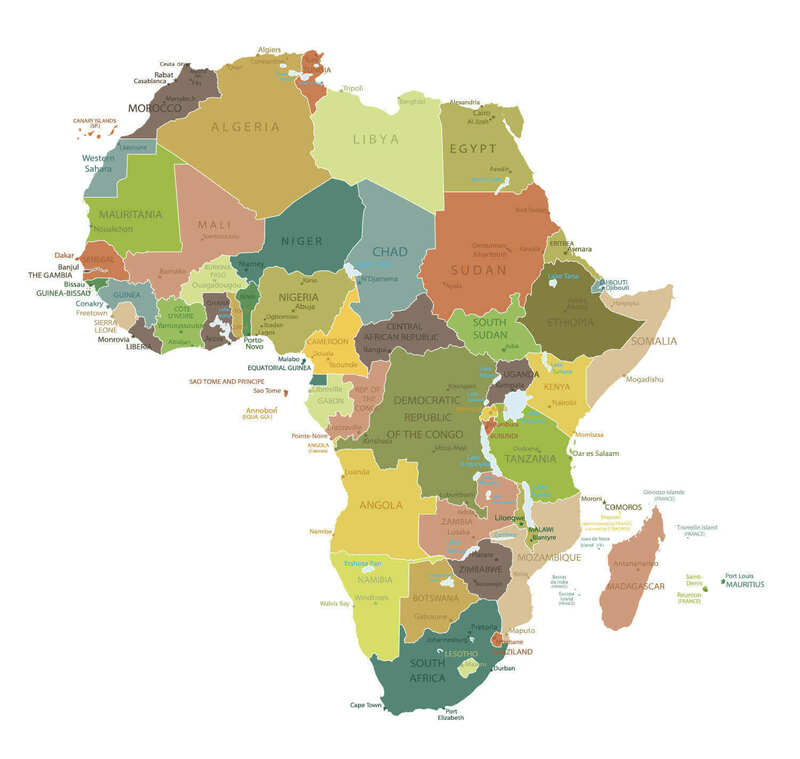 Vector Map of Africa with country borders. 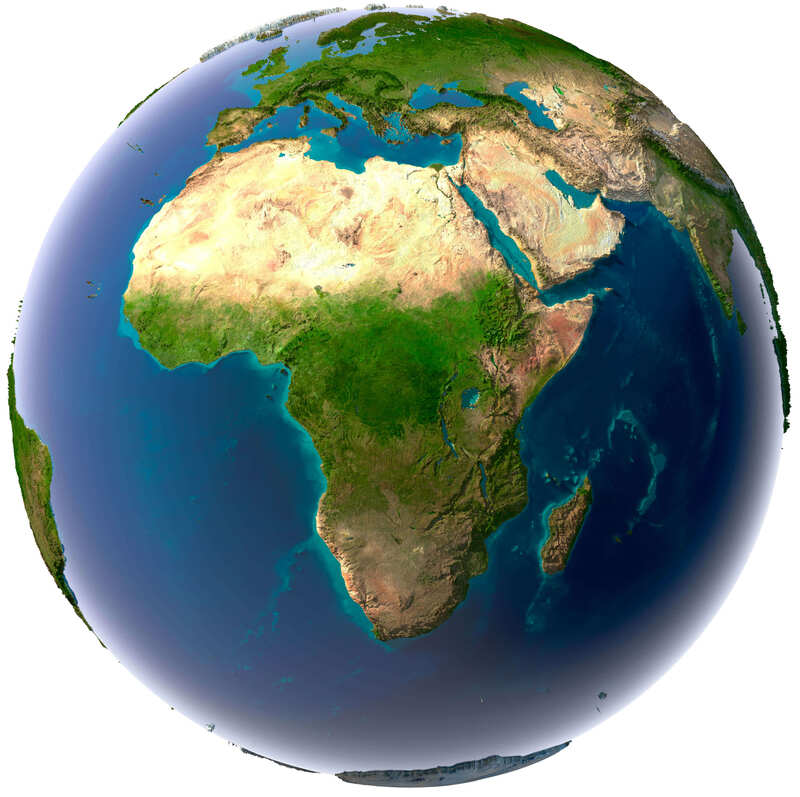 Africa and 3d Model of the Earth Satellite Image. 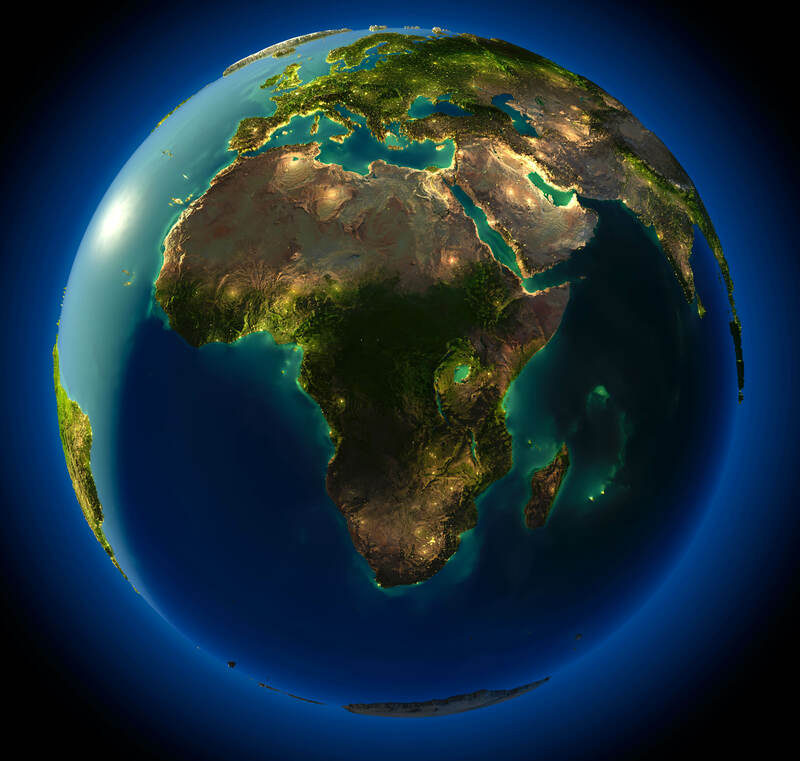 Africa and 3d Model of the Earth Satellite Image, Atlanctic Ocean and Pasific Ocean. 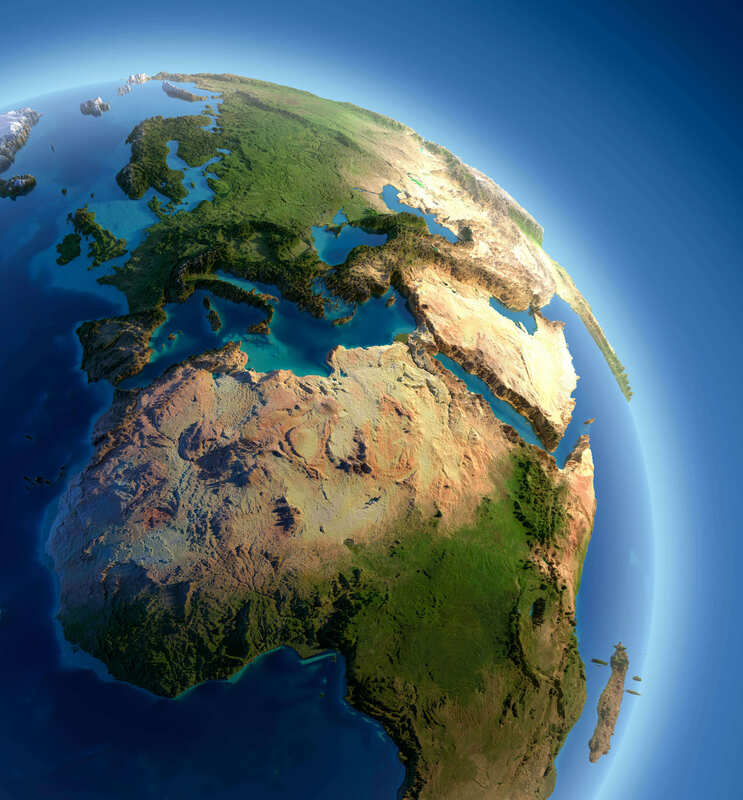 Highly detailed planet Earth at night, with embossed continents, illuminated by light of cities. 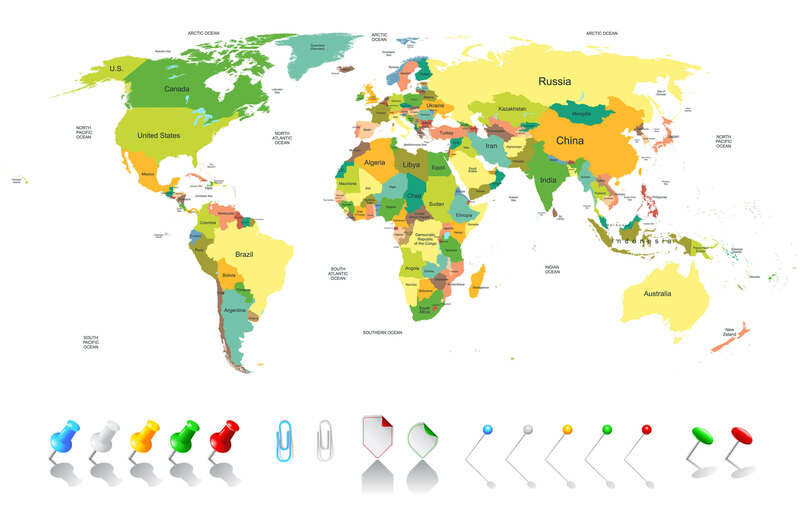 Earth is surrounded by a luminous network, representing the major air routes based on real data. 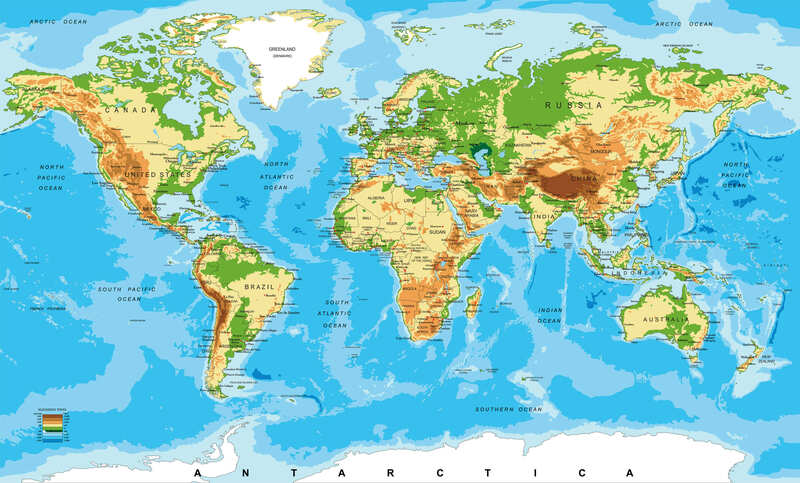 Highly detailed planet Earth at night with embossed continents, illuminated by light of cities. 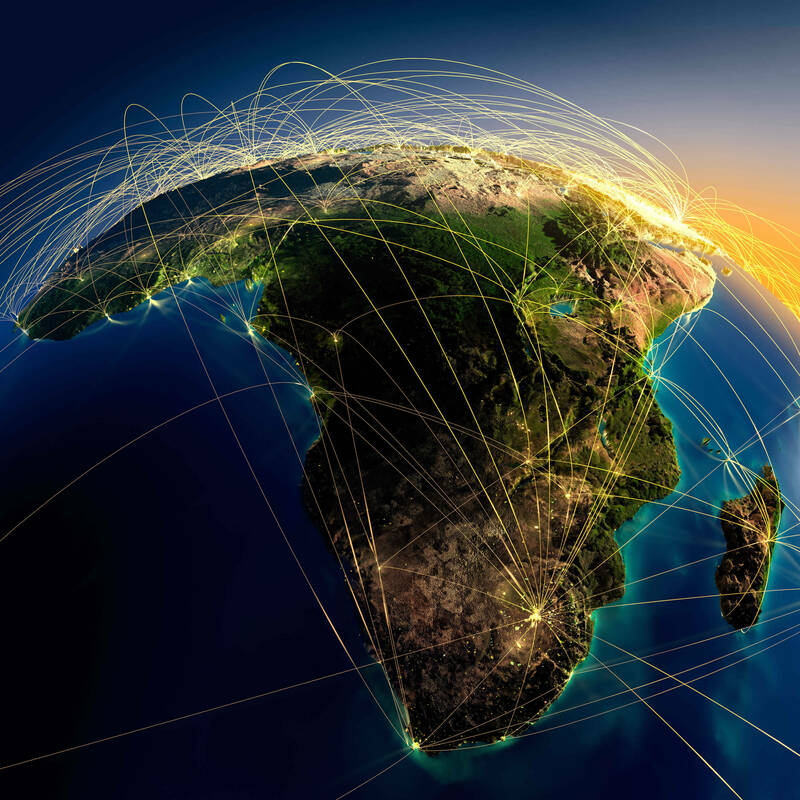 Erath is surrounded by a luminous network, representing the major air lines routes based on real World countries data. 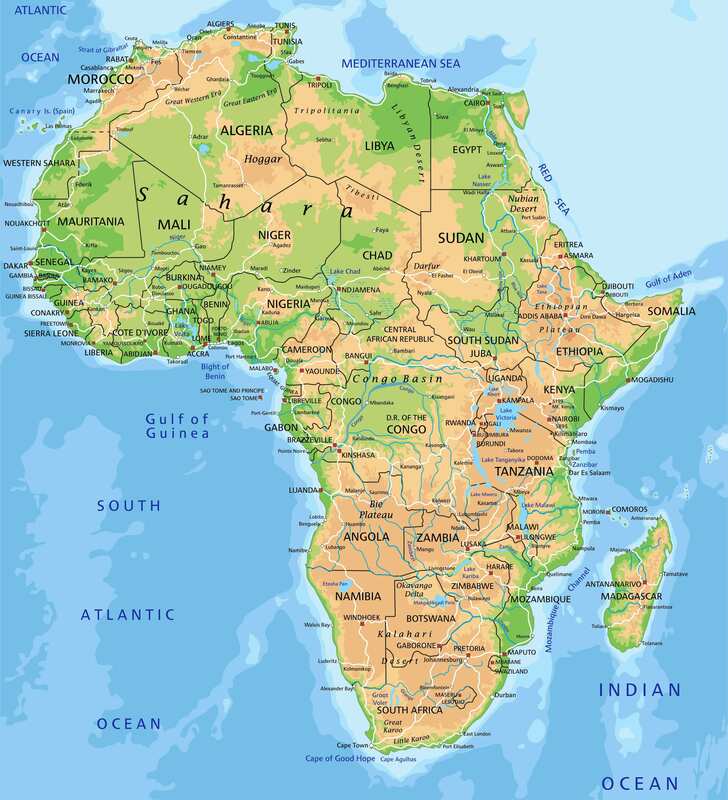 Africa Countries International Borders, Egypte, Sudan, Libya, Tunisia, South Africa, Morocco, Algeria, Nigeria etc. 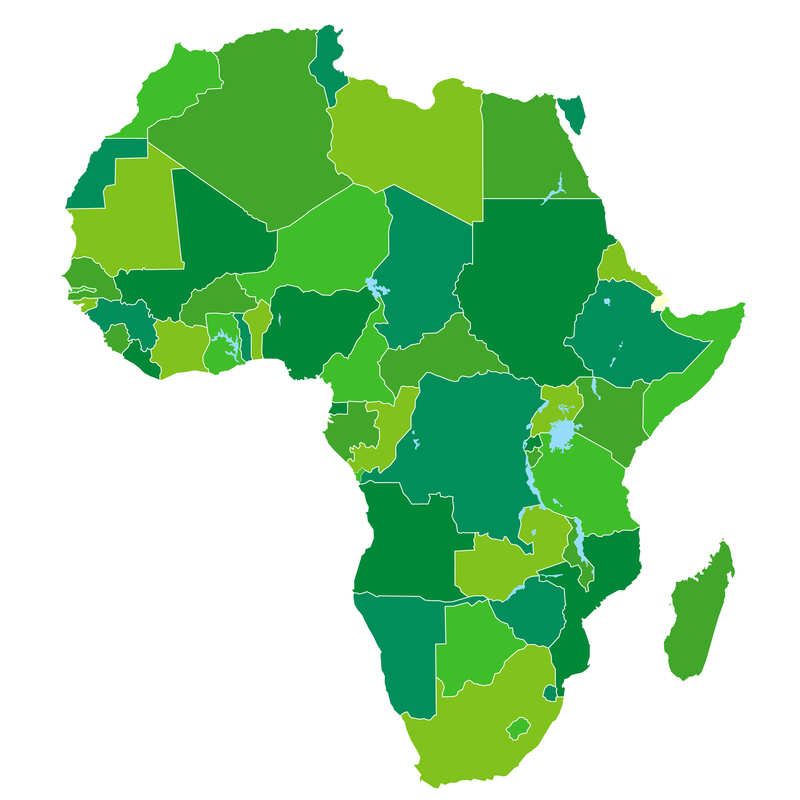 Coloured political map of Africa with international borders. 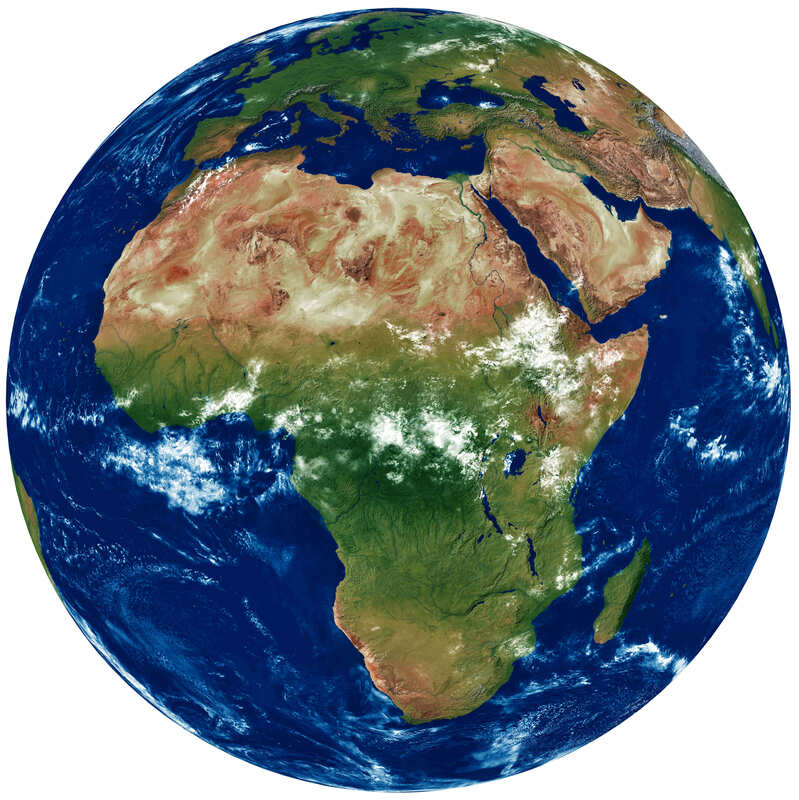 Please Not : You can find local businesses, public places, tourist attractions via map view, satellite image, hybrid view, driving directions in Africa Map. 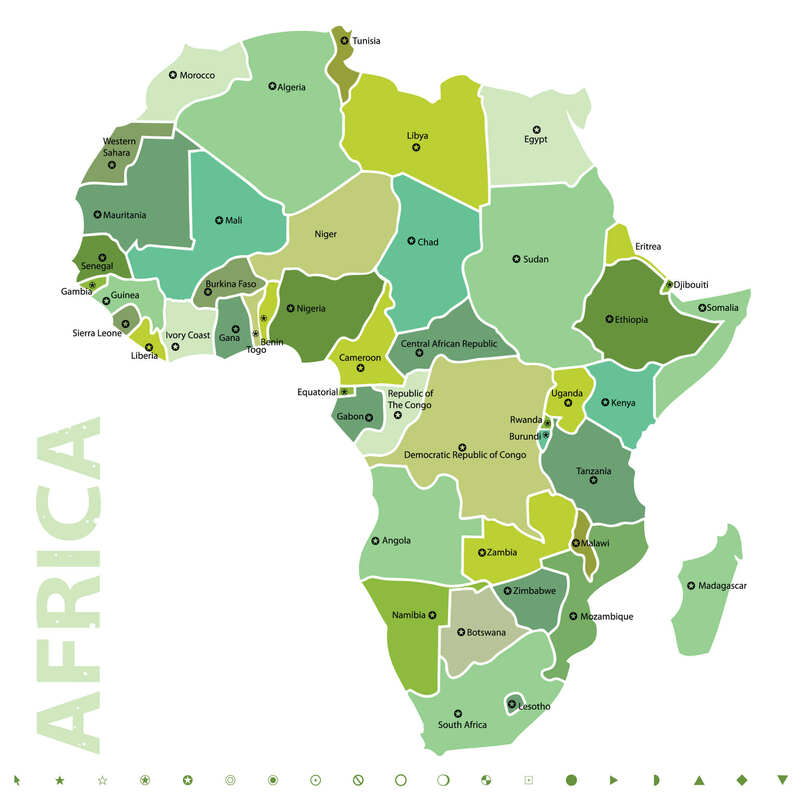 You'll also find a varity map of Africa such as political, administrative, transportation, demographics maps following Google map.